Emma Alman and Cailyn Ernat, Marshalltown High School freshmen, were recognized Monday night for accolades received from the Belin-Blank International Center for Gifted Education and Talent Development. Emma and Cailyn were among five then Miller Middle School students selected for Belin-Blank after being nominated and writing an essay. Emma participated in the drama program and Cailyn in the creative writing course. Both students were invited to attend a recognition ceremony Oct. 7 that recognized students who earned scores in the top 1 percent, were selected to one of the scholarship programs, or received special recognition in a program. The Board approved updating the District Facilities Plan with prioritized projects totaling $17.3 million. The projects include $10 million at Marshalltown High School (with $7.7 million for the Roundhouse renovation), $4 million at Miller Middle School, $2.2 million at the Support Services/Marshalltown Learning Academy/District Office, and $1.1 million for projects at Anson, Rogers and Woodbury Elementary schools. Justin Sorensen from TSP told the Board the next steps is to create a binder like the previous facilities plan with more details of each project, projected costs, and possible time lines. The Board will discuss the plan in more detail at a work session to be scheduled in the upcoming weeks. Marshalltown High School Principal Aiddy Phomvisay and members of the boys cross country team came to the Board meeting to pay tribute to their coach, Tim Bell, who announced he is retiring at the end of this season. The 2012-2013 certified enrollment is approximately 5,308 students according to a report by Lisa Koester, director of human resources and student issues. Koester said there are still some final figures to calculate, as some districts have not completed uploading their information to the state website, but any adjustments would only be a few students either direction. This year’s enrollment is 11 less than 2011-2012, a year which saw a nearly 120-student increase. Enrollment is up nearly 200 students since 2008-2009. The Board approved applying to the School Budget Review Committee (SBRC) for additional spending authority to cover the Special Education deficit. The deficit, which is $534,200.82, is the cost to serve Special Education students on top of the funding received for those services. Since Special Education programming is Federally mandated and districts are funded at 40 percent of the cost of serving students, deficits like this are common. Matt Cretsinger, director of special services, said the deficits at other 4A schools range from $700,000 to $2 million, while at 3A schools it’s $350,000 to $700,000. “As a district – considering the Special Ed element of it – we’re doing very well,” he said. Application to the SBRC will give the district the spending authority to cover these additional costs. Once authority is granted districts can, if they wish, levy additional cash reserves to cover the costs. Marshalltown Schools earned Gold Level Recognition for 2012 Student Reporting from the Iowa Department of Education for its timely enrollment information submission. MCSD was one of 162 districts that had submitted valid data for every enrolled student in the district within two days of the official count day (Oct. 1, 2012). Lisa Koester, director of human resources, recognized Sharon Baughman, administrative assistant to the associate superintendent; Keri Ashby, district registrar; and Ginger Jacobson, administrative assistant to the director of special services for their hard work that earned this recognition. The district is purchasing a 65-passenger 2013 International bus from Hoglund Bus Company for $77,288. Special Services Director Matt Cretsinger told the Board there is an increased demand for specialized transportation and the bus at Hoglund is available for immediate purchase. The Board approved application for an Innovative Calendar Waiver Monday night. The District was granted the waiver for 2012-2013 and is using the year to plan a pilot program at Rogers Elementary – examining the success of Rogers University and how it can be expanded. Dr. Susan Pecinovsky, associate superintendent for student achievement, said similar pilots across the district are also still a possibility. Marshalltown Schools will partner with Iowa Valley Continuing Education for high school-level summer school programming in 2013. “I think it opens up some opportunities for us,” said Dr. Susan Pecinovsky, associate superintendent for student achievement. The program will utilize a blend of direct teacher interaction with the Iowa On-Line Learning coursework. Students will be able to come to the Education & Training Center to use computers, or can complete coursework from home. Students will be required to make daily contact with the site coordinator and attend the center 2-3 times a week. Completion of the courses will result in Marshalltown High School course credit. Iowa Valley will have a student/parent contract and a fee for courses, which increases the commitment and probability of course completion. As the District Improvement Plan is developed and both schedules and scope at each project can be refined, the community will be asked to comment on how we should fund our improvements. We heard tonight in a presentation from Matt Gillaspie of Piper Jaffray in Des Moines that we have several options to weigh with respect to funding. As always, our Board will listen to the concerns of those we represent and work toward a responsible funding stream to address the need. We look forward to public meetings concerning our PPEL levy renewal, and potential General Obligation bonding as may be appropriate. We ask for your attendance and advice to see that the funding of the District needs meet also with the public needs. Please review our plan and see the impact these changes will make in the quality we see and produce. On a lighter note, we are always elevated by the achievement of our students. Tonight we saw two of five Miller Middle School students that were honored to attend the Belin-Blank Center at the University of Iowa. We thank them for their excellence and also our fine staff that have a significant impact on our students lives and dreams. This is what makes the effort to be a Board member worthwhile. It is common knowledge that board members attend many regular board meetings and work sessions. In contrast, it is rarely mentioned that each board member also serves on several of our 11 committees and seven negotiation teams. I mention this because tonight’s meeting included a task that is completed every year with little fanfare – assignment of board members to committees and teams. Committees include the Advisory Committee on Intergovernmental Relations, Auditorium Foundation, Bilingual Advisory, Business-Education Alliance, Design Advisory, Equity, Frank Pierce Trust, Insurance, Labor-Management, Marshall County Conference Board, and School Improvement Advisory. By serving on these committees, board members (no more than three per committee) serve as liaisons to the community and help the entire Board avoid getting bogged down by issues that require intense, careful consideration. An example of the benefit of committee work is the Capital Improvement Plan approved tonight by the Board after extensive work by the Design Advisory Committee (President Welker, Vice President Wilson and Director Schrum). 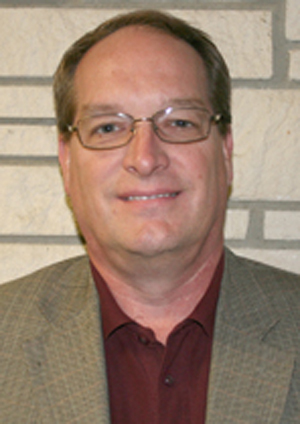 Sherm Welker was elected president of the Board of Education Monday night. 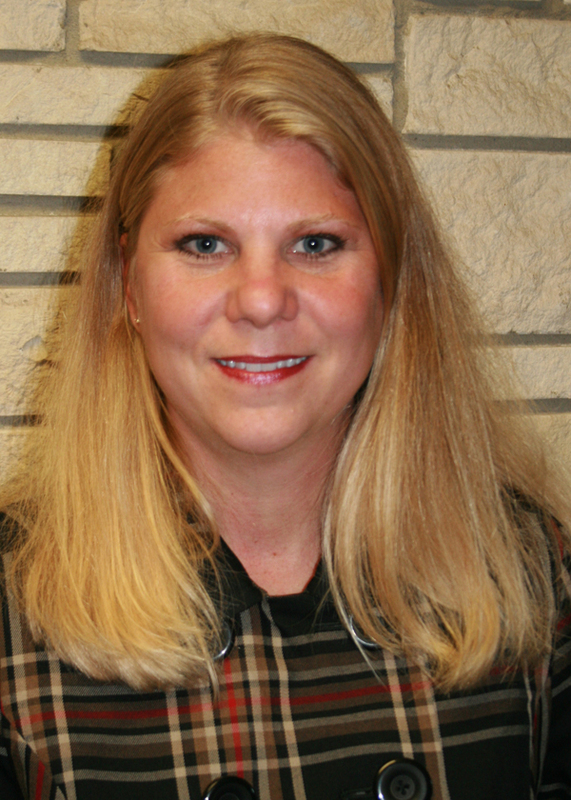 Welker replaces Kay Beach, who served two years as president. Welker won in a 4-3 vote during the annual organizational meeting. The Board approved the roster of the School Improvement Advisory Committee Monday night. The committee is comprised of students, community members, Board members, and district staff. Members of the committee are Luis Alcaraz, Ken Anderson, Morgan Bellile, Ralph Bryant, Laurie Buchwald, Tomasa Fonseca, Matt Cretsinger, John Hermanson, Tim Holmgren, Jason Jablonski, John Johnson, Lisa Koester, Vickie Lewis, Scott Lothe, Ronnie Manis, Susan Pecinovksy, Aiddy Phomvisay, Abigail Saucedo, Kendal Shomo, and Marvin Wade. The Design Advisory Committee recommended a slate of prioritized capital improvement projects to the Board Monday night, totaling $17.3 million. The DAC – comprised of Board members, community representatives and district administration – reviewed the entire Capital Improvement Plan, which contains $57 million in projects, and identified priorities across the district (see Notes from the Superintendent). The Board is expected to vote on the Capital Improvement Plan at the Oct. 15 Board meeting. The annual secretary/treasurer’s report showed the district increasing it’s general fund cash and investments 5.1 percent last year. Kevin Posekany, director of business operations and Board secretary, told the Board members the District has a healthy cash position and a lot of schools would be happy to have ending balances like Marshalltown’s. Posekany said the District has a solvency ratio of 6.7 percent. This falls within the auditor’s recommendation of 6-8 percent, though Posekany said the goals is to reach 8-10 percent. Solvency ratio is calculated by dividing the unreserved fund balance by expenditures. The Marshalltown High School graduation rate for 2011-2012 was 77.7 percent, according to a report presented at the Sept. 24 Board meeting. Dr. Susan Pecinovksy, associate superintendent for student achievement, said some discrepancies in calculations by the state can be confusing, as each building has a different graduation rate than the district. The state also revised its graduation calculations in February 2011. The 77.7 percent rate is a decrease from 2010-2011, which saw 80.8 percent, though still higher than the three previous years. The Strategic Action Plan objective is to have a 95 percent graduation rate by 2014-2015. Phase II of the Fisher Elementary project was approved as substantially complete Monday evening. Phase II of the project included electrical work and a lot of finishing including windows, carpeting, etc. The school will soon host an open house to showcase the finished facilities to the community. We as a community have started a renewal program for our school district and for our school buildings. Many of us were not around during the 1970s and 1980s when some of Marshalltown’s industry changed and made funding local capital projects very difficult for the community and school district. We changed that in 2002 and throughout the last 10 years have reinvested into our building infrastructure. Our elementary schools have been renovated and have fewer students due to the grade structure realignment. Our newer Lenihan Intermediate School is a bright star for our students to start the transition to High School. While many funds have been spent at Miller Middle School, it still is our oldest structure and continued reinvestment will be necessary to continue the process we have begun. Our newest facility when the bond issue projects started was MHS. It remains one of our focus sites for educational improvements and will need upgrades to the buildings as we approach our 50th year of service to our students. The first project is the Roundhouse renovation that will update and re-commission our effort to have first class facilities to mirror our first class education. We have asked for Board input into the capital plan and our advisory committee stands ready for public input as this project is launched this spring. We are all excited to see MHS changing in both the physical and educational realms. Please review our plan and be involved in our capital building campaign. Tonight’s meeting included a report from Director of Business Operations Kevin Posekany indicating the Board has $17 million that could be allocated toward completion of capital improvement (buildings and grounds) projects within MCSD. This amount was determined through a statutory funding formula that takes into consideration taxable valuation, a legal bonding rate of no more than five percent, and outstanding debt of the district. The Board then reviewed a list of requested capital improvement projects totaling over $57 million. Members of the Design Advisory Committee identified projects considered priorities based upon criteria such as safety, educational need, and preventative maintenance to avoid costly repairs in the future. The $17.3 million of identified priority projects included work at Marshalltown High School ($10 million); Miller Middle School ($4 million); Support Services/Marshalltown Learning Academy/District Office ($2.2 million); and Anson, Rogers and Woodbury Elementary schools ($1.1 million). This evening’s presentation included a large amount of information. Board members now have two weeks to study the entire project list and the recommendations of the Design Advisory Committee. It is anticipated that the Board will vote on Oct. 15 to identify those projects that will collectively serve as the MCSD Facilities Plan for the foreseeable future. I look forward to the Board’s vote and to the work that will begin immediately afterward to make the Board’s vision a reality for our community, schools and students. First Reading: 204.11 General Complaints by Citizens, waive second reading. Initial Review: 205.1 Compensation for Expenses, mark reviewed; 205.2 Membership in Associations, delete. Initial Review: 205.3 Board of Directors and Elected Officials, mark reviewed; 206.1 New Board Member Orientation, work on revising the list of recommended orientation seminars.